I may not be Irish - but there's one day of the year where I can pretend I am! And why not do it in style? Check out the adorable shirts at Saint Patrick Day Shirts.com. Whether your style is sassy, sweet or downright hilarious- they've got a graphic tee for you! 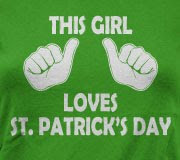 I started my Saint Patrick celebrations early by donning my favorite Saint Patrick Day shirt for the Super Bowl! 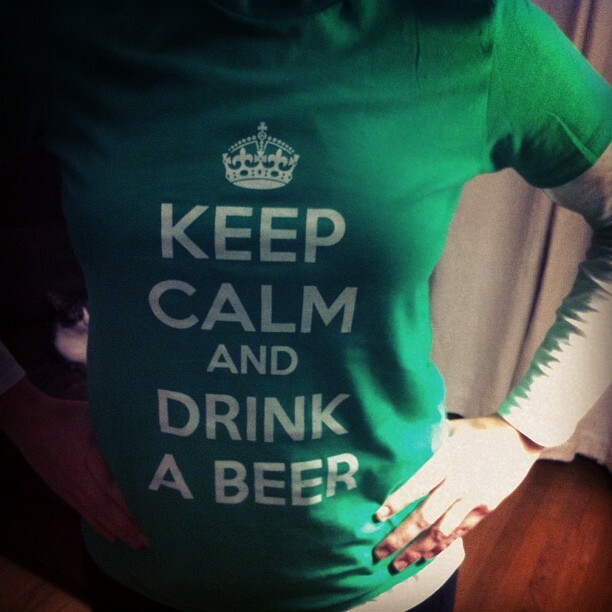 "Keep calm and drink a beer" - How perfect is that for a Super Bowl party?! This shirt was a huge hit - I even shared it on my personal instagram and a lot of people got a chuckle out of it. I like that the shirt is festive but still normal enough that you could wear it everyday - not just one or two days a year around the holiday. It's also a really nice quality shirt - it was soft, comfortable and has washed really well. Some of their cutest shirts are the This Guy Loves St. Patrick's Day and This Girl Loves St. Patrick's Day shirts! I think these are so fun - and really festive for the big day. I also love this one - I think it is just too cute! 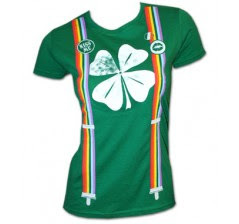 Whether you spend your Saint Patrick's Day at a parade, a party or just hanging out - you're sure to find the perfect shirt at Saint Patrick Day Shirts.com! They have shirts starting at just $5! 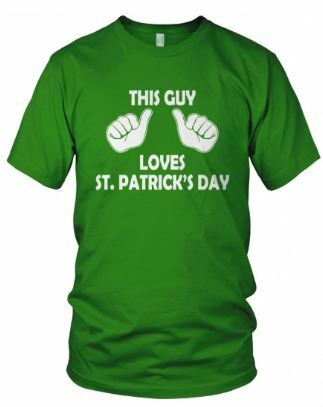 I can't wait to wear my shirt on Saint Patrick's Day!